Take a break from your hectic schedule and indulge in some self-care with a trip to J9 Beauty Salon. 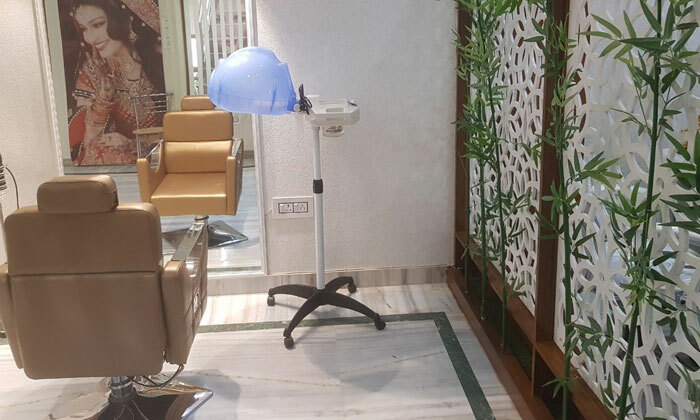 Located in Mansarovar, Jaipur, J9 Beauty Salon offers a wide range of beauty and salon services exclusively for women. The salon features bright, well-lit interiors, plush seating arrangements to help you unwind as the experts work their magic on you and an overall elegant yet inviting ambiance. Whether you’re looking to upgrade your look or just tend to your routine beauty needs, J9 Beauty Salon has you covered.